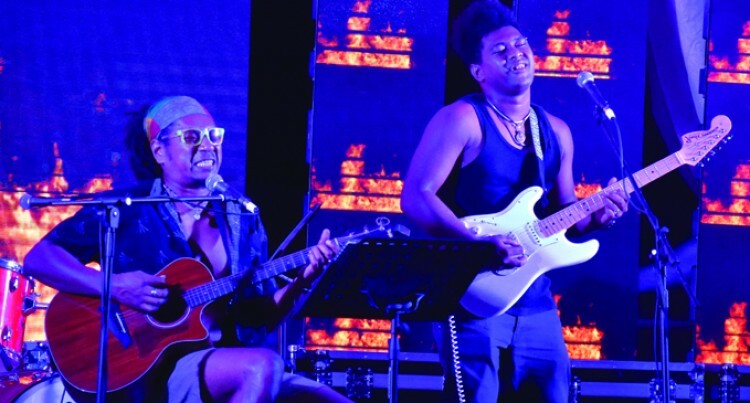 Musicians and local chefs showcased their talents during the 2018 Punjas Denarau Food, Wine and Music Festival at Denarau Golf & Racquet Club. Event director Ellana Kalounisiga was overwhelmed by the support from the locals in Nadi on Saturday. “We fed hundreds at the gate and we are absolutely happy to see local patrons coming out in numbers to support the event along with the many tourists,”she said. “The plan is to promote the festival so that we can expand the event in years to come. “This will be an annual event, going forward. The festival organisers commended the major sponsor Punjas for supporting local talents. “We are absolutely grateful for Punjas as our major supporter this year. We couldn’t have done this event without their support,” Ms Kalounisiga said. Members of festival committee were amazed by the skills showed by local chefs. “The team from the Sheraton and the Westin were absolutely amazing along with other hotels represented at the event,” Ms Kalounisiga said. The festival included the promotion of local musicians and live music. The nine live bands that performed on the day included Four Quarters, Acid Tone, Knox, Resonate, IB Brotherhood, Nem & Talei, Inside Out, DJ Christorite and Jay Hoad (solo). “The artists were simply amazing and this is what the event is about,” Mrs Kalounisiga said.